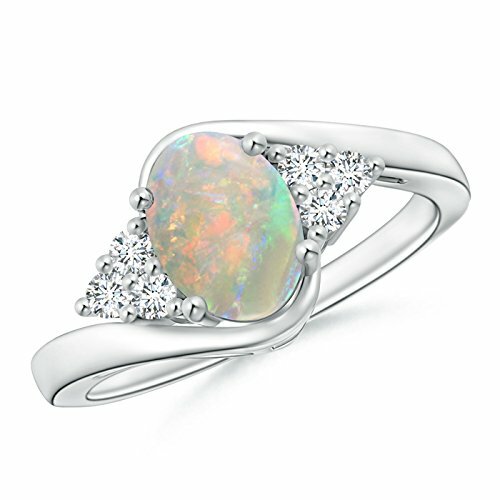 The prong set opal is highlighted by a set of trio round diamond accents on the sides. Held within a lustrous bypass shank, the iridescent opal and the sparkling diamonds complement each other. This oval opal ring in 14k white gold exudes simplicity and elegance. If you have any questions about this product by Angara.com, contact us by completing and submitting the form below. If you are looking for a specif part number, please include it with your message.